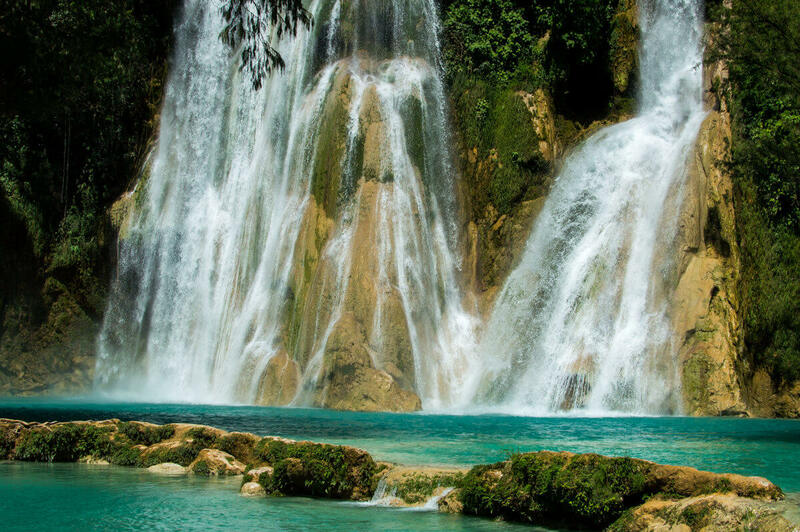 The Huasteca Potosina of Mexico is home to many wonderful waterfalls. 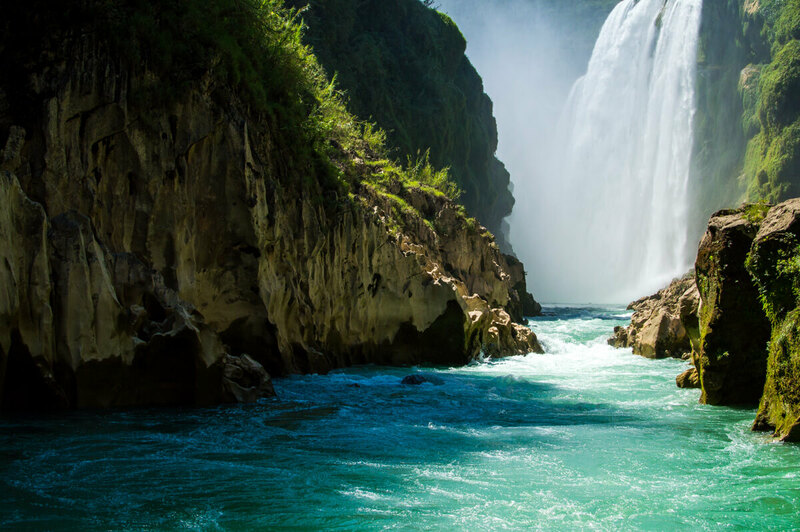 Here’s a brief guide to visit the best waterfalls that you can find in Mexico. Enjoy! When it comes to natural wonders, Mexico is second to none and the Waterfalls of the Huasteca Potosina are the living proof of that. 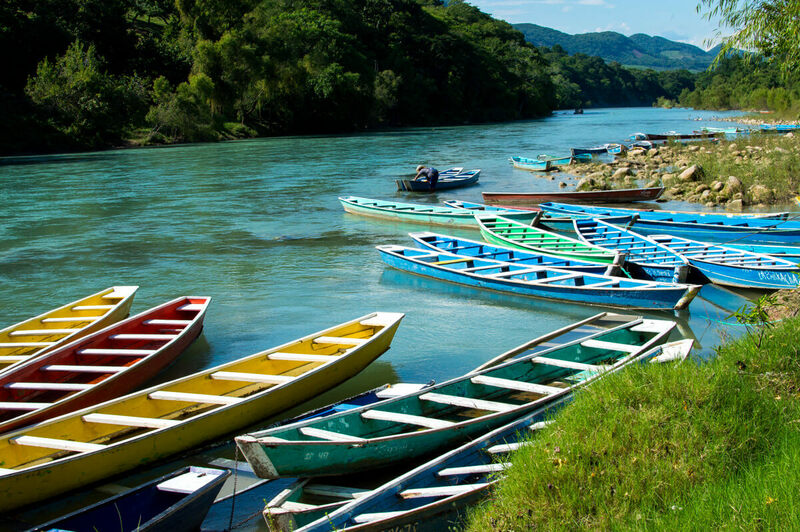 Turquoise water, peaceful rivers, emerald mountains, colorful boats, extreme adventure and friendly locals are just some of the many highlights that you will find in this beautiful region of Mexico. Are you ready to explore the Waterfalls of the Huasteca Potosina with me? “I’ve been doing this all of my life. And once I die I hope my spirit will continue rowing and rowing every single day” the boat owner said. His words were strong as the the sound of thunder with a voice that showed that special mix of kindness and command that few people today share. A few hours earlier, my mother and I had arrived to Ciudad Valles, the main tourist hub of the Huasteca Potosina, after taking the overnight bus from Mexico City. Exhausted, we proceeded to check-in to our guesthouse and went straight to sleep after the generous owner allowed us to do an early check-in at 06:00 am. “What would you like to do today? Rest?” I asked my mother, a compassionate Mexican woman who had just recently retired after working as a medical nurse for more than 30 years. “Are you kidding? Let’s go explore the biggest waterfall!! !” she said with a big grin on her face. It seems that the adventurous spirits runs big in the family of wonders. Ciudad Valles is a very interesting city in the sense that during the low season, there seems to be way more taxis than people. Most of the waterfalls of the Huasteca Potosina are a short ride away from Ciudad Valles (1 to 2 hours max) and you can reach them by car, private taxi or by organized tour (more on that later). If your time is short and you want to visit THE most impressive one, then you definitely need to go on a day trip to the Tamul Waterfall, a beautiful natural sight located in the Tampaon river that boasts an impressive height of 105 meters (344 feet!!!). Other interesting waterfalls in the Huasteca Potosina include Micos (ideal for jumping), Minas Viejas (ideal for rappelling) and Tamasopo (ideal for swimming). Taxi prices in the Huasteca Potosina can be easily negotiated when the supply is higher than the demand (low season) and so we found a very friendly taxi driver who accepted to take us to the Tamul Waterfall (1 hour away from Ciudad Valles by car), wait 4 hours and take us back to Ciudad Valles for 800 MXN (about 50 USD). 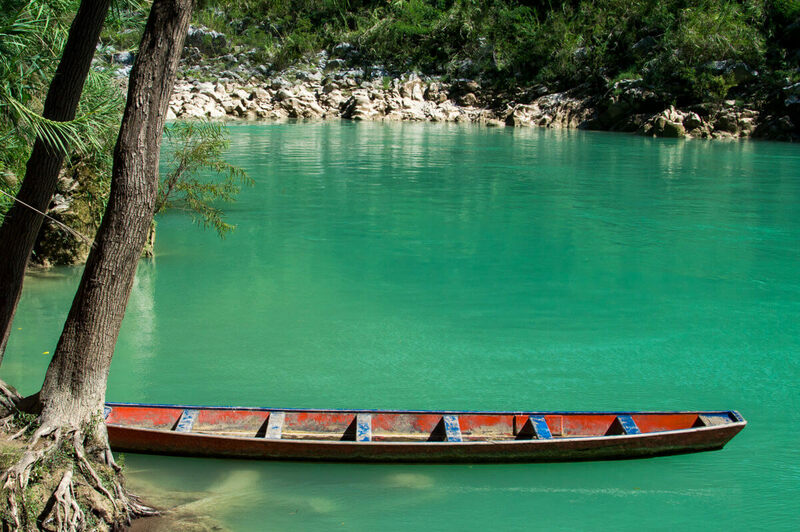 The road to the town of Aquismon (the starting point for the boat ride to Tamul) is a very scenic one as you go alongside the impressive mountain rage of the Huasteca Potosina where you’ll see glimpses of the rural life of the Huasteca Region. If you’re a big fan of this blog already then you probably know how much I love cows (read here about Switzerland’s Mountains and Cows), specially when they’re well-cooked and served with hot tortillas. I mean, doesn’t this look tasty? 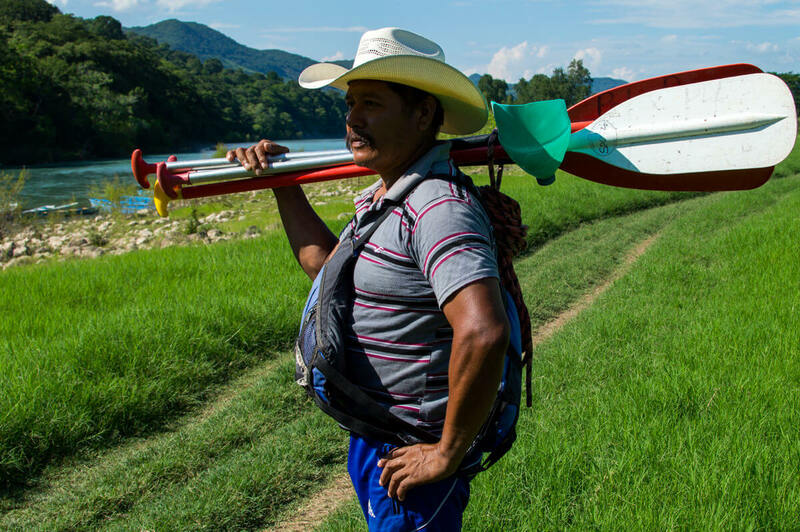 Finally, we arrived to Aquismon and as soon as we entered, the association of boat owners greeted us and explained the way things work when it comes to boat (called pangas in this region) journeys to the impressive Tamul Waterfall. Spoiler alert: there’s no motor boats and everyone in the group has to row for the entire duration of the journey. The fixed price is 600 MXN (about 35 USD) per boat for a maximum of 8 passengers (additional passengers pay extra). And yes, wearing a bulky life-vest is mandatory my wonder friends! Average time of the journey is 2 to 3 hours including two stops: one at a rock just a few meters away from the Tamul Waterfall (BEST.VIEW.EVER) and the other in a area with a water cave (similar to Yucatan’s Cenotes) where you can swim. After 90 minutes or so of intense rowing (I kind of missed the feeling of working out to be honest, I need to hit the gym more often during my travels! ), we finally approached the Tamul Waterfall. Unfortunately, you cannot swim right next to it because of the water current but hey, isn’t this a lovely sight? Hours later, my mother and I eventually made it back to Ciudad Valles. “Did you like the waterfall?” I asked her. “I did! Although I hope tomorrow is going to be a calmer day” she said. “Well, I hope you’re not afraid of heights because tomorrow…we’re gonna do waterfall jumping!! !” I told her as she laughed and laughed. Apparently, she thought I was joking. Suffice to say, I wasn’t joking. I never joke about outdoor adventures! 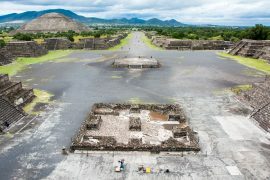 Normally, I prefer to go on my own journey instead of taking organized tours (see here the Pros and Cons of Organized Tours) but my time with Huaxteca Expeditions really changed my mind (seriously, they’re AWESOME). 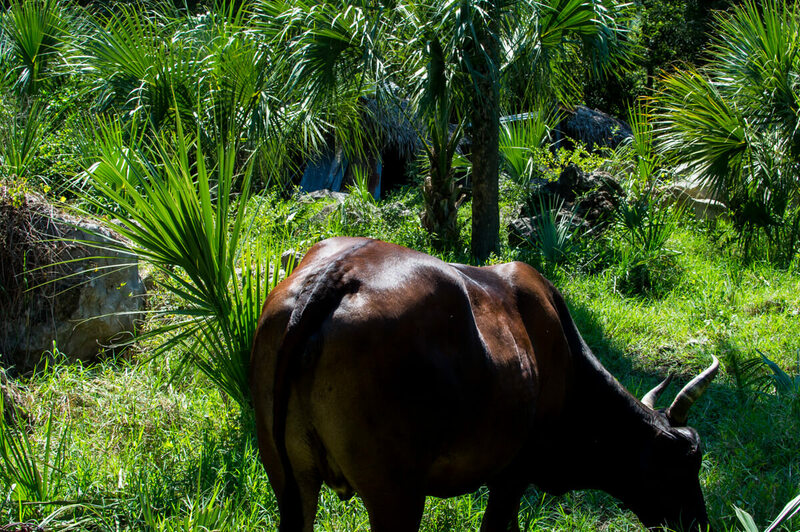 The folks behind Huaxteca Expeditions are passionate locals of the Huasteca Potosina who know the best eco tourism spots in the region such as the The Surrealist Castle of Edward James (yes, a Surrealist Dali-Inspired Castle in the Jungle!!!) and the magical town of Xilitla. PS. 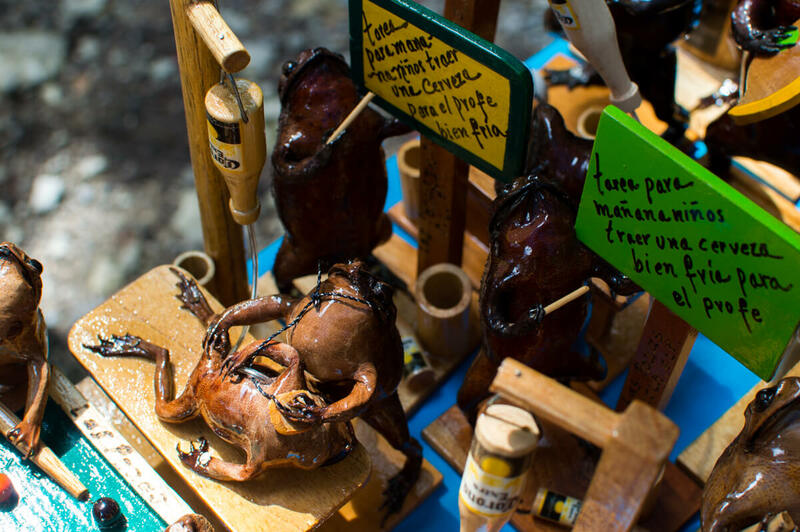 Be sure to buy one of the dissected varnished drunk frogs outside of the Castle of Edward James. They’re funky yo! And yes, if you think that rowing for 3 hours to see a waterfall was extreme, then you ain’t seen nothing yet. What do you think about river rafting through the rapids? How about rappelling right next to a raging waterfall? Heck, how about JUMPING from one waterfall to another? When it comes to outdoor adventures, the Huasteca Potosina is probably Mexico’s number 1 spot and I’m glad that I got to experience this in the company of my mother (seriously, my respect for her went through the roof once she conquered her fears and took the 8 meters jump!!!). 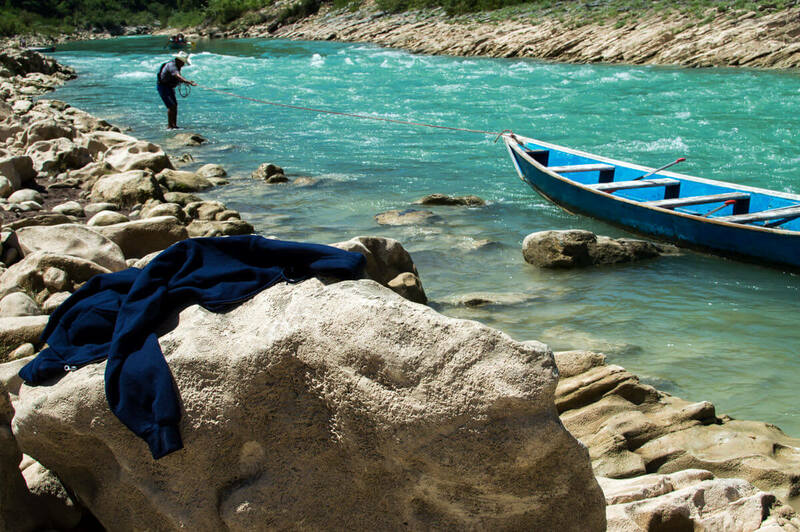 Whether you’re an adventurous type or not, the Huasteca Potosina is waiting for you. Are you gonna visit it soon? You definitely should my wonder friends!!! 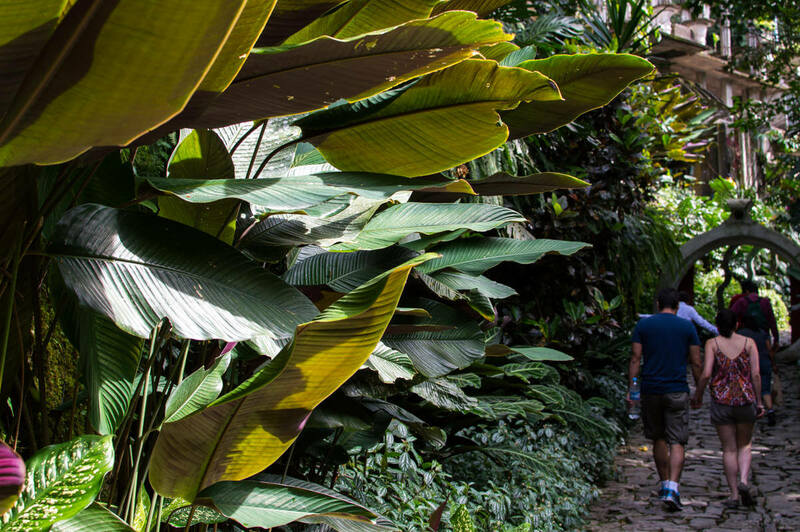 Most accommodation options in the Huasteca Potosina are in Ciudad Valles although if you have your own car I recommend you to stay in some of the small mountain villages such as Xilitla. Some of my recommendations include Hotel Sierra Huesteca Inn and Hotel Quinta Mar for those looking for boutique and luxury accommodation and the Hostal Pata de Perro for those traveling on a budget. 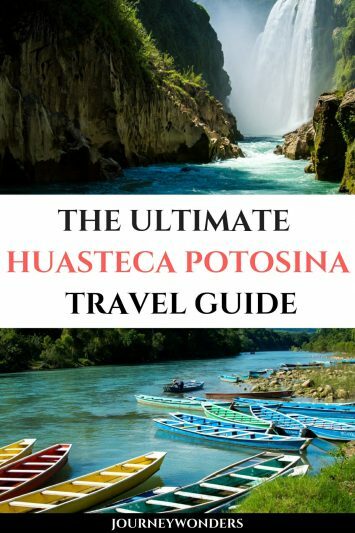 I hope you have enjoyed this travel guide to the Huasteca Potosina’s best attractions. Don’t forget to subscribe in order to get more awesome updates and tips straight to your e-mail! 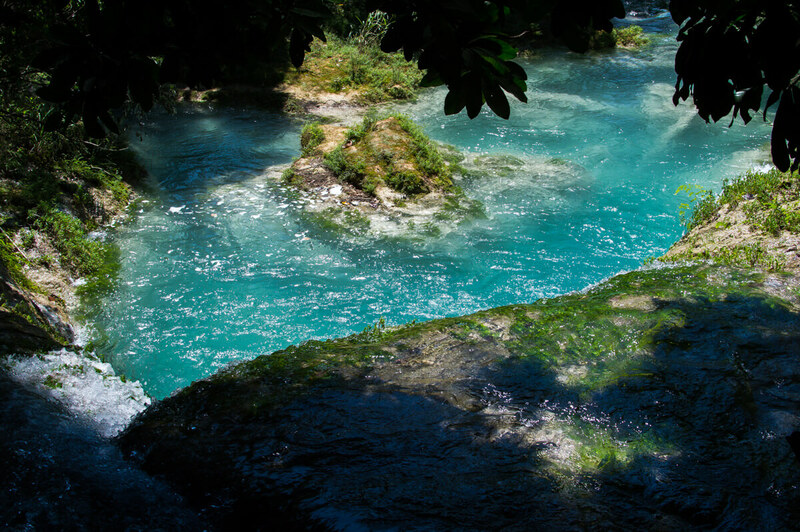 Have you ever been to the Wonderful Waterfalls of the Huasteca Potosina? Would you like to? Share your thoughts and let me know what you think!